CMH & NPCSD Partner for Students! 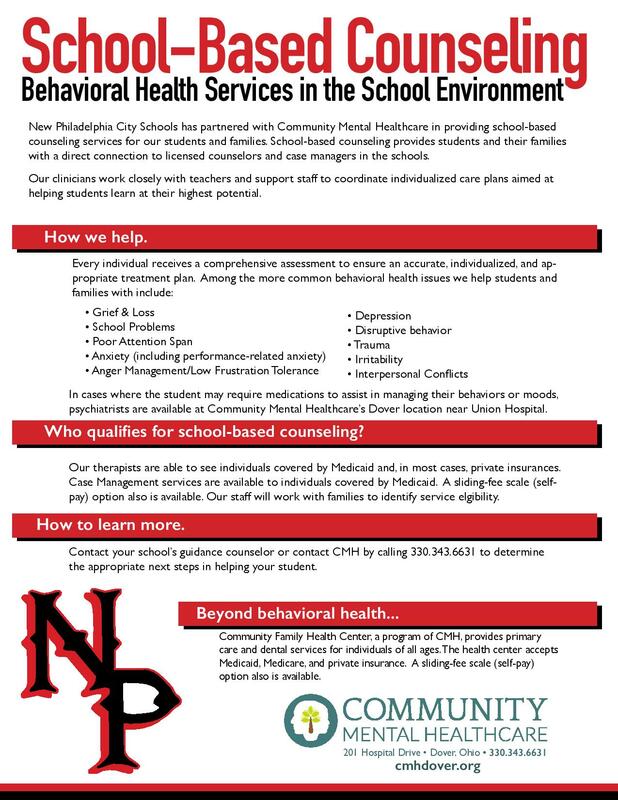 New Philadelphia City Schools has partnered with Community Mental Healthcare in providing school-based counseling services for our students and families. School-based counseling provides students and their families with a direct connection to licensed counselors and case managers in the schools. Our clinicians work closely with teachers and support staff to coordinate individualized care plans aimed at helping students learn at their highest potential.